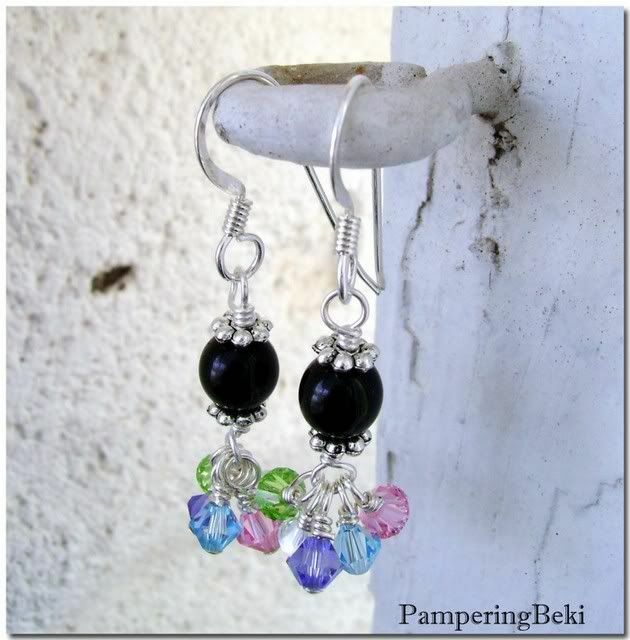 TheRustedChain - The Blog: ~ Spring Shadows ~ earring special Sale! ~ Spring Shadows ~ earring special Sale! $9 shipped, for blog readers only! These earrings are petite at about 1.5" from the top of the hook to the bottom drop, made of all sterling, Czech glass and sparkling Swarovski crystals. Click the paypal button or E-MAIL ME.